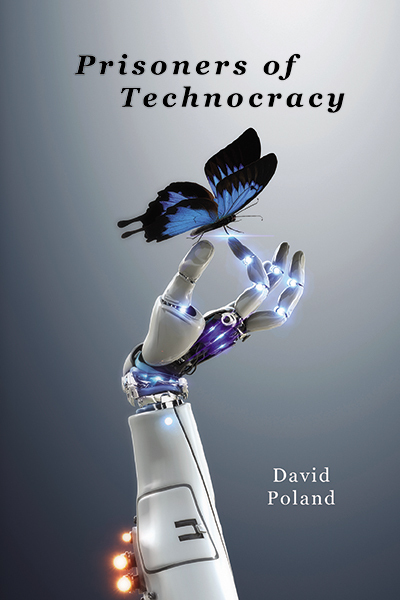 In his novel, Prisoners of Technocracy, David Poland offers a chance to experience a future of technology that could be our reality in as little as 20 years. The legacy of 20th-century technology is expanding rapidly and includes the creation of Artificial Intelligence (AI) and robots. It is almost guaranteed that AI will be optimized enough in the future to be placed in robots that assist in our everyday lives. Based on his engineering background and previous work with AI, Poland believes, if we get it right, we may create wonderfully helpful and “autonomous” machines that will change our world forever. The reader directly experiences the future by following the protagonist, Tommy, as he works to make his dream come true, even if that means bending the rules in his favor. The world Tommy lives in is beautiful, but he is fed up with the heavy surveillance and demanding rules of the city’s benevolent robots which leads to his daring escape. Tommy’s desire to escape raises an important question for readers to ask themselves: do you feel the desire to escape the surveillance and regulations of your world? In keeping with Tommy’s place in the world, an unemployed school dropout, the book has been written in an accessible and entertaining language. Poland has patched together a vocabulary of recognizable lingo with intentional grammatical errors that breathes life into Tommy’s dialogue. This leads to another important question: if robots are developed to do the things humans don’t want to do, will humans lose purpose? Poland presents Tommy alongside characters of varying personality that makes the reader see pieces of him or herself throughout the story. While Tommy is not a person akin to many of us, it is still fascinating to compare his world to ours, utilizing the positive and negative aspects of both. Not only is Poland’s technocracy a glimpse into the future of technology, but it is also a statement about the current state of the world we live in and the endless discoveries we make each year. The reality is that as technology rapidly advances, our world will change, including our form of government and legal regulations and restrictions. Poland believes that the current generation of college students will still be around when America shifts towards a technocracy. A Technocracy is a government mainly composed of engineers and scientists as opposed to a current lot of showmen who do not have backgrounds in science or engineering. Poland’s story is an effortless and swift read into the future that raises numerous questions about our current world and what’s to come. Much of his world is familiar to us, so which part of the future will you be living in?